June began hot this year with clear, sunny skies in Baja California Sur (BCS). The month also coincided with a sad event for sport fishing, the death of Bob Bisbee, founder of the international tournament Bisbee’s Black & Blue. The tournament has been energizing Los Cabos since 1982. No doubt the legacy of this global personality will continue to be part of the competition for years to come. 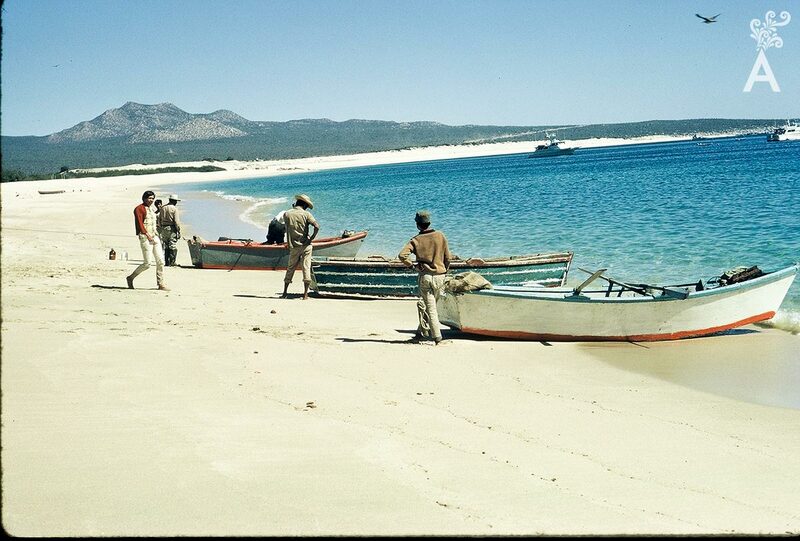 Sport fishing is one of the most important economic and recreational activities in Baja. As a result, a brief historical tour could be of value. 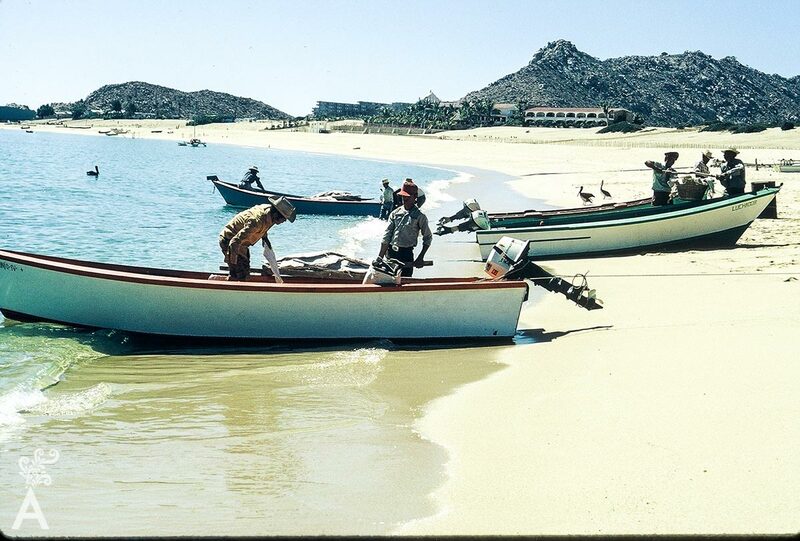 The contemporary method of fishing in Los Cabos can be traced back to the beginning of the 20th century and Compañia de Productos Marinos, S.A. Carlos E. Berstein was the majority shareholder. 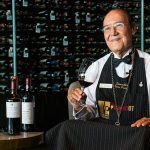 He began operations in Cabo San Lucas in 1925 on the ship Calmex. “His crew was made up of Japanese, American and European fishermen naturalized in the United States (USA). The materials for the production were brought from San Diego, where the canned product was also sent, even before labeling, which consisted of tuna in oil and brine.” (Gonzalez, 2002: 487). Records show that a machine room fire caused the collapse of business on the ship in 1928. The fire accelerated the construction of the new packing plant on land. The Elias Pando group eventually purchased the company. Elias Pando was dedicated to the business of groceries, wine and canned fish. Subsequent economic conditions in BCS led to the closure of the company in 1979. When the employees lost their jobs, they began to see fishing as a noble tradition, but now through different color glasses. That was the moment when hoteliers began to include sport fishing in their business plans. The Parr family and Luis Bulnes are excellent examples. Both played important roles in the introduction of sport fishing. 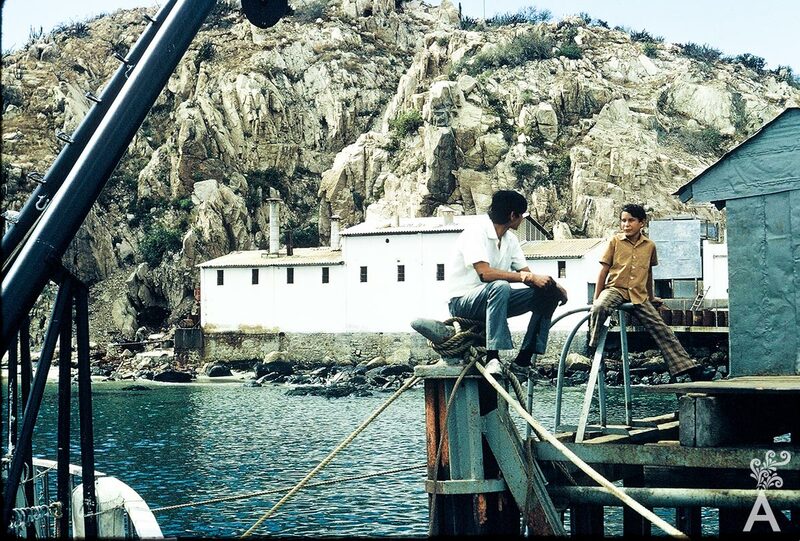 The families of native fishermen did the same, turning Los Cabos into an iconic destination in Mexico. It must be said that the journey for residents is full of life stories. For example, the employee who, in the seventies when the packing plant was closing, thought about how he would support his family and decided to find a way to get into the sport fishing business. Or, the young man who owned a panga in the 80s. A tourist approached him one day and asked how much the boat owner would charge to take him fishing. It’s a fact that sport fishing can happen almost year round. Even so, the best times are from July to February. Sport fishing here provides memorable moments for all the fishermen who are looking to win important tournament prizes, or catch one of the unbelievable specimens that can weigh more than 900 pounds. There are those who simply want to enjoy the emotions created by the squeal of the reel and the duel from the chair with a hard fighting swordfish. The changes the environment has recently suffered are a topic of interest for the sport fishing industry. 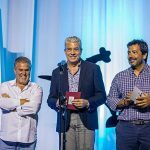 As a result, Los Cabos has established a compromise between the accredited fishermen involved in sport fishing and the environment. For example, the lines and hooks are now biodegradable and artificial bait is no longer allowed. The future of sport fishing looks promising, especially if it is practiced with the dedication and passion that characterizes Los Cabos. The Marlin Capital of the World offers a warm welcome to those who wish to experience such an exciting sport and protect the environment that makes it possible.